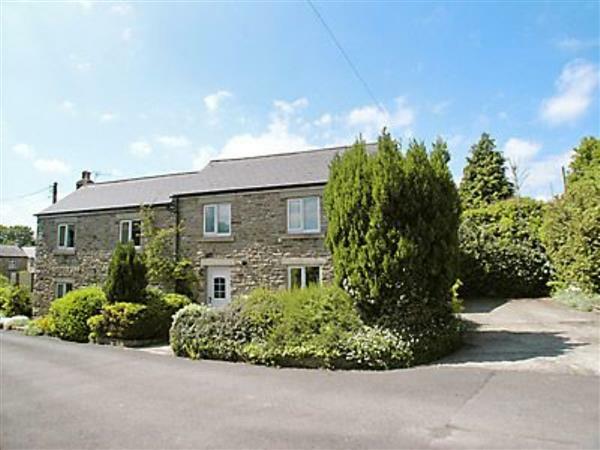 Betsdale in Frosterley sleeps 5 people. Between Wolsingham and Stanhope on the A689 in Upper Weardale, this detached 18th-century holiday cottage stands just off the main street of this attractive village on the same site as 12772. Surrounded by the eastern flanks of the Pennines. Centrally placed for Teesdale and the Yorkshire Dales, there are many places of interest, Hamsterley Forest, Beamish Open Air Museum, Kilhope Wheel once the centre of the lead mining industry besides fishing on the local reservoirs, riding within 3 miles, and glorious walking on the moors. Shop and pub 70 yards. Ground floor: Living room. Dining room/kitchen. First floor: 3 bedrooms: 1 double, 1 twin, 1 single. Bathroom with bath, shower cubicle and toilet. Gas central heating, gas, electric, bed linen and towels included. Cot. High-chair. DVD. Gas cooker. Microwave. Washing machine. Tumble dryer. Dish washer. Freezer. Garden and chairs. Parking (2 cars). No smoking please. Holidays at Betsdale run from Saturday to Saturday. For a better idea of where Betsdale is, you can see Betsdale on the map below. Betsdale is in Durham; should you be on the lookout for a special offer, you can find all the special offers in Durham. It's always worth checking to see what is on offer at the moment. Do you want to holiday near Betsdale (7723), you can see other cottages within 25 miles of Betsdale; have a look to find your perfect holiday location.